Father’s Day is an occasion that allows you to give back to the person who helped you grow through the years. It is a time to thank and plant a smile on the face of fathers worldwide. As a daughter, you could do your part rather simply. It only takes a small gift, irreplaceable in the cost of love, a warm hug and a gentle kiss on the cheek to say and show that you care. The gift, of all three, is the trickiest part. Different people have different choices and though all gifts are good enough to be received with love, it is still sociable to gift the person something that he likes. We’ve made a large list of things we think would be nice – perhaps, this could hold the idea of a perfect father’s day gift from daughters! A card might sound very clichéd, but it is one of the best ways to convey your greetings. 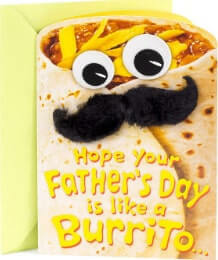 Put in more effort into your card than a simple “happy father’s day from daughter”. Here are some ideas – try using paper machie, introduce color and write a really nice message to him. Decorate your card by making little illustrations – not too much, it may look cluttered and you would want to redo it. Keep your card balanced between drawings and writings and most importantly, make it look very neat. When you’re done, pop it into a nice large envelope, which, if you like, could be decorated amply too! A tip for you – handmade cards may not be as good as the ones in the store, but they convey your message better. Instead of a card though, there are a number of DIY father’s day gifts from daughters that you could explore. All men love T-shirts. Probably because they all refrain from investing too much time looking at and shopping for them. 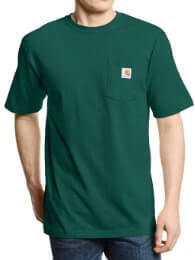 T-shirts are affordable and can be purchased online, if you know which size he wears (which you most probably do). The other great thing is that they can be customized to carry messages and pictures – you ought to be a little sensible and put in a message which delivers a nice punch of wit and humor for your dad here. Something which makes you both laugh and is relatable – you should probably know what we’re talking about. Ties are of great fascination to men. You see, suits are expensive purchases, and they need to be made to measure, so it is not easy to continue buying suits at a very quick rate. Instead, men prefer to buy the accessories to wear suits with, such as ties, more often. For Father’s Day, you could get him a nice-looking tie that he would beam at. Low on budget? Settle for a tie clip instead, but put in your mark there. 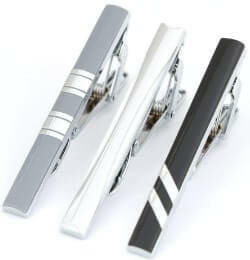 A lot of tie clips offer scope for customization – make good use of it and put in a few letters of affection. When your dad is not working, wearing his suit and tie, or surfing through the newspaper, with a mug in hand, or watching his favorite show on the TV, he’ll probably be getting himself some rest. 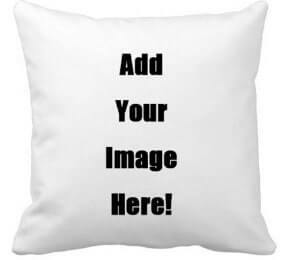 If your father lives away for work, send him a personalized pillow or a bedcover or a bedsheet that would remind him of his near and dear ones, even though you live away. It is also not a bad idea if you live together, because these items add a more local and personal touch to the house, which everyone should love. If you think looking for “Father’s Day cards from daughter” on the internet, or visiting the store down the street is not enough, here is a sweeter addition to this list. This is something younger daughters could give their dads! Most gift shops and departmental stores sell nice little books, bound together by a spiral, where each page tells a reason why you love your father. Though we totally agree that it is not possible to state specific reasons to love your loved ones, such as dad himself, it is still a wonderful idea that young children could try out to gift their fathers on the special day. These posters fascinate us too! If your dad is a movie buff or if he even remotely likes the cinema, this could be the ideal gift for him. These lists have the names of one hundred movies or the pictures of their posters on them. All of it is covered in that brown or silver material you can scrape off – the latex scratch card type. He needs to scrape off the paint on each poster, one at a time and then watch the movie (with you, naturally). Go ahead and look for any list containing gifts for men, and watches will be part of it. Men love wearing watches – you could say it adds to their overall look and of course, is really useful. Try to go to an online store and look for as many types of watches as you can, ultimately to pick the best for your dad. When it comes to the debate about watches, nothing is more impressive than the Swiss models, but then, based on your budget, you have plenty of other options to choose from. Of all the things you could gift him, we’re not sure he’d like a picture of him staring blankly at… himself? Well, we’re not talking about that, though. We’ll be suggesting mugs. 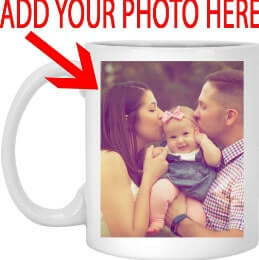 These can be personalized, so you can put in a picture with him from last summer or a nice image of the both you when you were mug – sized. Better still, try a collage as a gift – you could include all the pictures you like and still fit it right on to the surface of a mug. Based on your budget, there are several types of mugs that you could try – each of them special. Does your dad love to cook? If he does, there are so many things you could give him to elevate his kitchen experience. 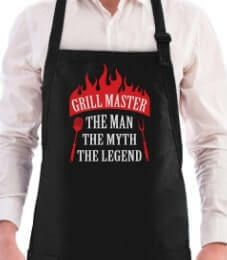 A nice personalized apron would be a wonderful example. Or, if you like, you could procure a set of kitchenware that has been totally personalized. A meat board is also a good alternative. These items in the kitchen are bound to make him feel special when he’s in it. Of course, it is also going to get him motivated if he wishes to cook a meal for you anytime soon or later. I’m sure very few father’s world wise will disagree to this. Take your dad for a lunch or dinner at his favorite restaurant. Being a foodie, we believe, is something that occurs naturally to everyone and he will certainly not object to a wonderful, sumptuous meal. When you’re there, you could cut a cake wishing him a very happy Father’s Day. If you have siblings, you could sit with them and work out a plan to surprise your dad on the special day. It would count as a wonderful gift from all his children. Otherwise, you could do this along with a set of gifts that were produced individually. All gifts are special. The money that goes into buying a gift definitely does not matter – the love and affection you attach to it is important. After all, for a person who has been your pillar of strength and has led you through your time with great wisdom and love deserves to be celebrated. It does not take an occasion to gift your father a smile, but if it does, there isn’t any better day than Father’s Day to make it happen. So, go ahead and do what you need to – we are sure he’s going to absolutely love it.